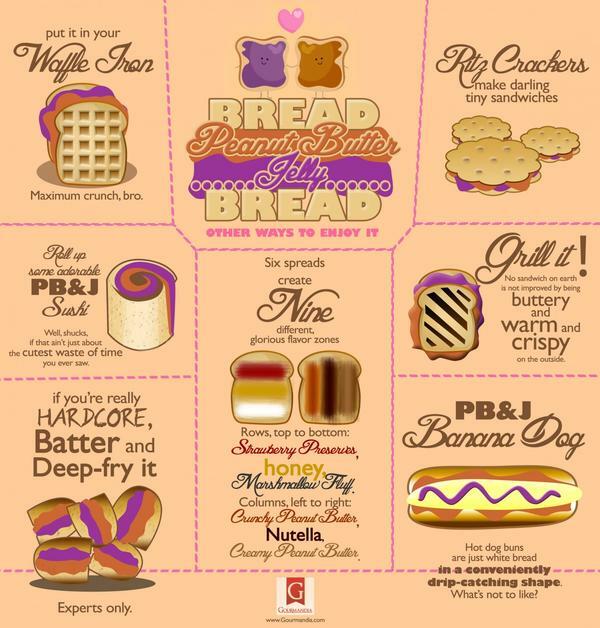 Peanut butter and jelly might just be the most beloved condiment marriage in America (though ketchup and mustard are a close competitor). Our childhood hearts will forever adore the traditional sandwich, but we’ve been looking for more creative ways to scarf down nutty butter and sweet jellies of all kinds. This infographic from Gourmandia is an excellent start.